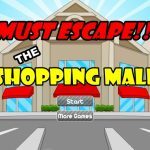 Play the firefighter escape and enjoy the moment of getting out of burning house. It is pretty interesting idea to see the results of people reacting at those moments in their life. Especially when we are talking about the extreme situation. In the beginning you will be able to see different side of the rooms where you can navigate through the arrows. Try to get all the information and also the items that you might need in the process of escaping. It is quite difficult to successfully finish the game at the first try, but who knows it could be one of those who does.